Thanks so much for spending another season with Mainlining Christmas. Whether you read every word, listen to the occasional podcast, or just click Like on Facebook, we appreciate you. So far, I think this year's changes were a success. Once we backed off from the constant flood of posts, we had time to choose our content more thoughtfully and do research for more podcasts and other analysis. We also had more time to actually enjoy the season. December is a very busy time in my current job, so I personally needed the respite. In fact, it's been such a success that we're planning on bringing on an unpaid intern next summer. Rather than go through the headache of posting an ad or something, we've decided to grow them. 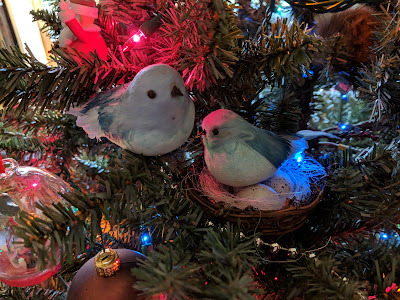 We're expecting them to arrive in late June of next year. I expect this person to take up incredible amounts of time and energy, but provide an all-new perspective on holiday media. And life. This is one of those movies where spoilers do make a difference, and it's worth seeing, assuming you enjoy this sort of thing. It's a melancholy fairy tale exploring cycles of alienation and guilt before setting things right. Imagine a low-budget urban fantasy reimagining of It's a Wonderful Life and you'll have some sense of what you're in for. If that sounds good, by all means stop reading now and go stream it. The story centers around two characters. The first is an orphaned boy called Goose living with his grandmother suffering from Alzheimer's. His parents died in a car crash the year before, which was caused indirectly by Goose. Since then, the boy's become a petty thief. Santa Jaws is a made-for-TV Syfy comedy/horror movie about a magical Christmas shark targeting a specific family during the holidays. So... basically it's an unofficial remake of Jaws: The Revenge. Okay, that's not really true - this honestly has more in common with Krampus than Jaws, and it probably owes more to Stranger Things than either. I figure it's a flip of the coin whether this started with someone coming up with the punny title or listening to the Duffer Brothers talk about how they envisioned the Demogorgon as a shark while making season one. Shockingly, this has a plot. The main character is Cody, a high school student with dreams of becoming a comic artist. 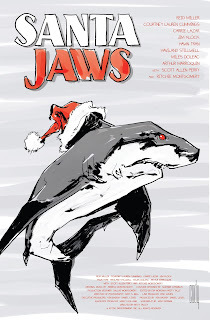 Along with a friend, he's created a one-shot story about "Santa Jaws," a great white shark which devours an evil Santa and wears his red hat on her fin. 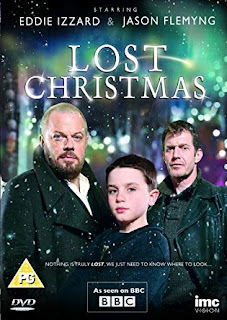 There are many Christmas movies about families, and many about found families. 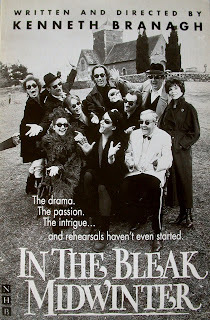 This delightful black-and-white dramedy from Kenneth Branagh shows that the bonds between the members of a theater company are every bit as dysfunctional and poignant as any other family, if a bit more dramatic. This is a movie that rewards close attention. 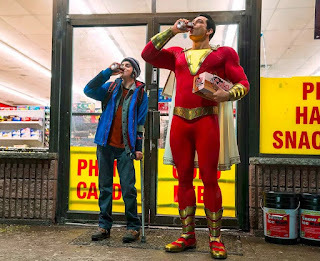 It’s absolutely hilarious, but many of the jokes, and nearly all of the character beats, are played so straight and subtle that you’ll miss important details if you’re trusting the movie to telegraph when something is funny. It also rewards some familiarity with theater people and their habits, although I think it would be enjoyable even without that context. It has a lot in common with the 2003 Canadian television show Slings and Arrows - I suspect this film was an inspiration for that series. 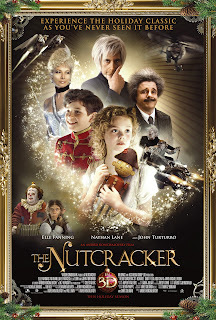 Nothing Lasts Forever is, arguably, the most influential Christmas novel written since A Christmas Carol, and if it's title hadn't been changed when it was adapted into a movie nine years later, I wouldn't have to explain why. That movie, incidentally, was Die Hard. I'm not sure what I expected from the book, but it wasn't this. I knew going in it was a sequel to a novel Thorp wrote in 1966 called The Detective. I've never read that, but I have seen the film adaptation, which starred Frank Sinatra in the lead role. 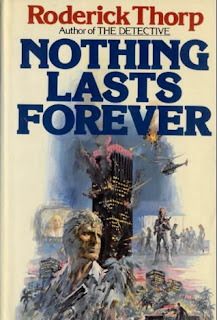 It's pretty obvious from reading Nothing Lasts Forever that Thorp wrote this with Sinatra in mind. The plot. It's exactly the same as the movie's. Also, it's completely different.